We students and teachers are making lots of stuff for the island. I made something today that gives me great pleasure. 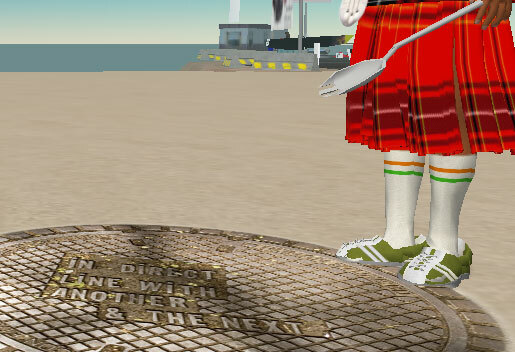 I took a photo of one of the Lawrence Weiner manhole covers and made it a 3D texture in Second Life. Click the pic for full effect. i have such a big crush on you. i’m just too shy to tell you.